Building credit is a phrase that you’ll see around the Internet and anywhere most financial experts talk. It’s basically the act of getting a loan with easily repayable terms, or piggybacking on someones loan, in order to create a positive record on your credit report and thus increasing (building) your credit score. But, for many, it’s a fallacy that acts as another trap in the debt cycle. Here’s the scenario. You need to build your credit. So, on the advice of a few friends or experts, you go down to the bank and get a $300 loan. It’s all they’ll give you, and the interest rate is way more than you should spend. But, you don’t plan on spending any of the money, so you’ve just got to come up with the payments with the added interest and viola! 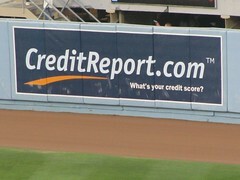 A shiny new positive mark on your credit report. Except. Except that after about 2 months, you get a flat tire. Or you’re favorite band comes to town. Or your friends want to go out on the town. Something comes up and you need some money. You don’t have any. Where do you get your money? Why from the loan, of course. You’re gonna pay it off anyways, right. So, you’ll just have to scrape together a bit more for the next payment, that’s all. Except. Except, you don’t scrape together that money. You use the rest of the funds to pay the next few months payments, but you come up short. You still need to scrape a few dollars together to make the last few payments. How’d this happen?!? It must have been those parasitic lenders, right? Not quite. You did it to your self. And instead of a shiny new positive mark on your credit report, now you’ve got new delinquencies. And eventually, maybe a nice new collection note. All because you thought it would be nice and easy to build your credit. You fell victim to the fallacy. It doesn’t have to be that way. Many people pull this off, but it takes a mindset as well as the money. If you attempt to do something like this, but you don’t have your whole mind in it, you stand a high risk of ending up with negative marks instead of positive ones. But, if you’re determined to stay out of debt at whatever cost, you can make it work. It means you can’t touch that money for anything. No drinking with friends, no Bieber concert, and no new tires. If you want to improve your credit score, and you’re in a situation where this is the only solution, you’ve got to be ready to make a few sacrifices. Take a step in the right direction, take responsibility for your actions, and do the financially sound thing. Building your credit can be that easy. It’s not a easy task, but once you’ve built it long enough and high enough, maybe you can continue to build it with a nice used car loan of a couple thousand.